Features: Upgrade or fix a pair of earrings or make your own, with these gold toned clip earring findings. The ability to make or repair your clips earrings are right at your hands. 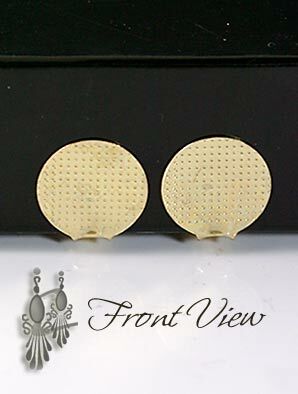 These front clip have a wide front pad, they are great to handle large cabochons. 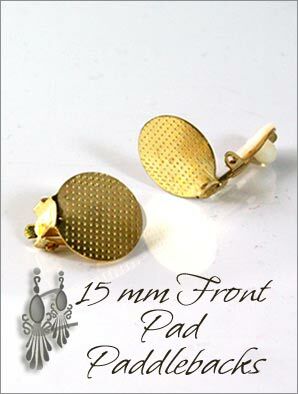 Perfect to use your heirloom or unique buttons, keeping a good balance to the overall earring design.